This is a 7-Day audio devotion created to simply speak life into the Child of God. With all of the negativity we face day-to-day and the lies spoken over us it is imperative that we start our days off with God’s liberating truth! Each day you will receive a morning prayer declaring the word of the Lord over your life! Although very basic in nature it can cause a great chain reaction in your life! You see the enemy cannot stand against the word of God! As you hear the word of God declared over you it is my prayer that you will repeat, meditate on, and believe that the word is activated over and in your life! In turn I pray that it…the word…will increase your peace, joy, strength, and ability to praise God in the midst of all that you face. Allow the word of God to do His perfect work in your life! 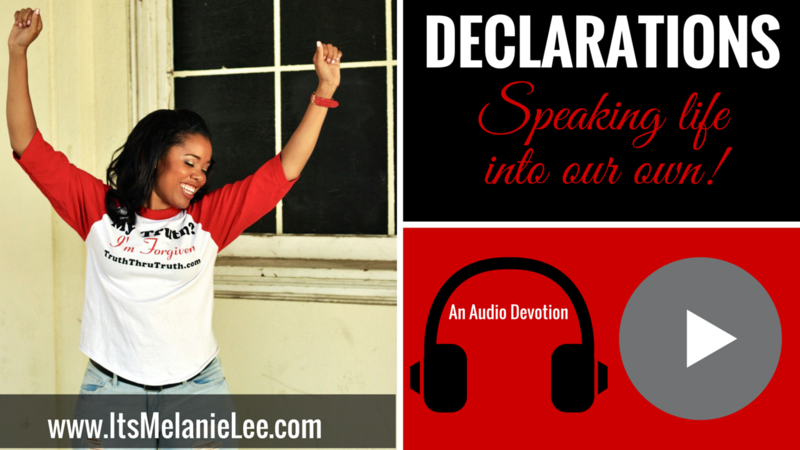 Downloadable audio tracks (7): While I could release each declaration to you all in one it won’t happen that way! Each day you will receive an email letting you know that your declaration is available for you to download. It is done this way so you can spend the day meditating on what has been spoken over your life! Scripture Cheat Sheet: You will be able to download a PDF with all of the Scriptures that I founded these declarations on! Use them to dig deeper into the word to hear what God has to say concerning your life and the people around you!